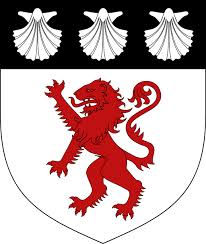 which also combined these armorial charges, being a quartered device bearing three bends, the top one itself bearing the three white scallops from the arms of the Russells, the lower a crown and the letters XVI, a reference to the Bedfordshire Regiment. 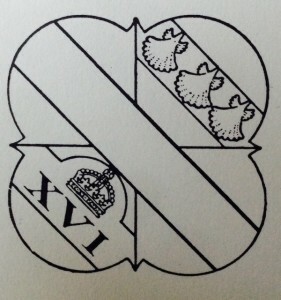 This was adopted in 1924. 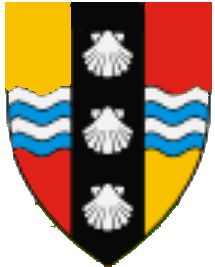 With the dissolution of the county council the arms they previously bore became available for deployment, in banner form, as the county flag. 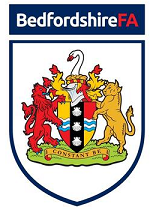 a process previously applied in Middlesex, Cumberland, Westmorland and Cheshire. 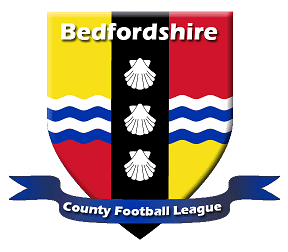 Whilst an appropriate design for deployment as Bedfordshire’s county flag it was deemed an opportune moment to correct a minor flaw in the design. 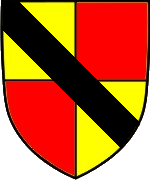 It was slightly reworked so that the blue and white colours representing the River Ouse on the left hand side, were transposed, so that the yellow-white and red-blue arrangements were no longer in contact, in apparent disregard of the heraldic “rule of tincture” which operates to keep light and dark colours from touching one another. 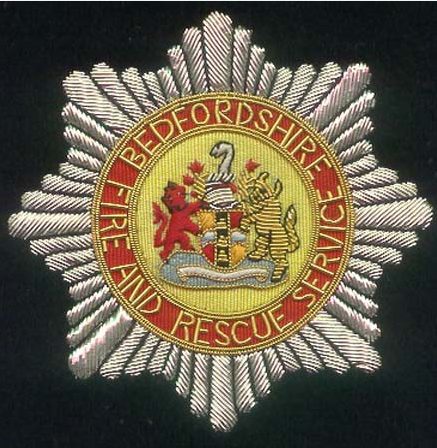 This change and use of a lighter shade of blue increased the flag’s visibility effectiveness. 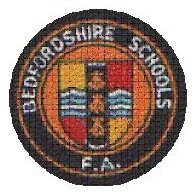 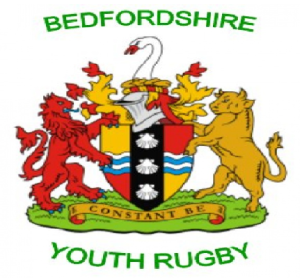 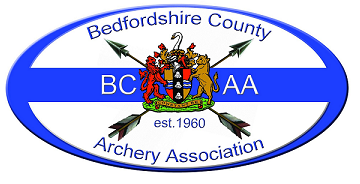 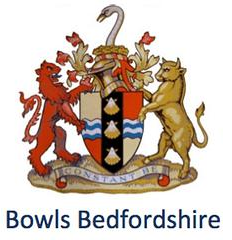 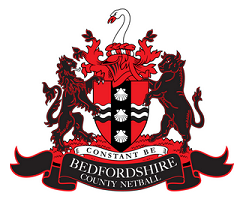 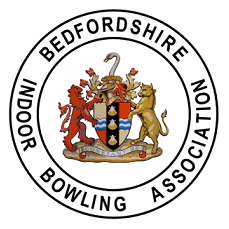 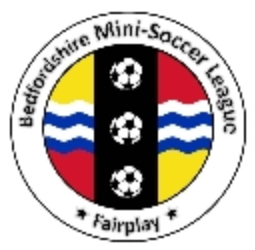 A campaign to secure registration for this improved design was waged by Luke Blackstaffe of the Friends of Bedfordshire from the website located here http://friendsofbedfordshire.org.uk/flag.php . 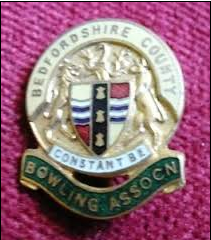 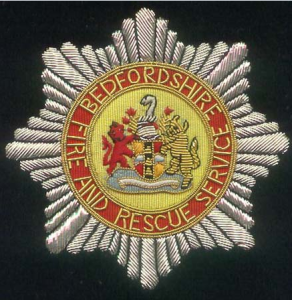 The campaign very soon secured the support of Colin Osborne, the Bedfordshire County Sheriff, whose sanction, as a major county figure, was sufficient to justify the design’s registration which was completed on September 11th 2014.